TWRP Recovery is one of the essential tools if you have made a mind to modify your Android smartphone. It lets you perform several tasks like Nandroid Backup, restore an existing backup, flash zip files, factory reset and more. With this, one can easily install a mod, GApps, or a third party custom ROM. 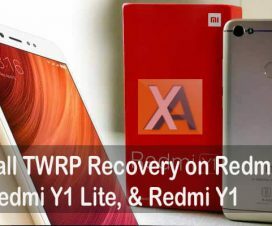 If you’re looking how to install TWRP recovery on your Xiaomi Mi & Redmi smartphones this guide will help you with that. 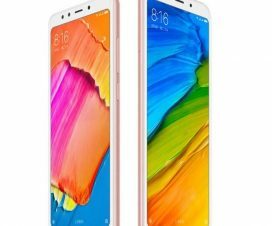 The following TWRP installation guide is compatible with each and every Xiaomi MIUI device including Redmi Note 4, Redmi Note 5 Pro, Redmi 3s Prime, Mi Note 2, Mi Mix, Mi5, Mi5s, and more. Before starting the installation procedure, make sure you have performed a backup of all your device data and it is well charged enough. Enable USB Debugging from phone’s Settings > Developer Options > USB Debugging. 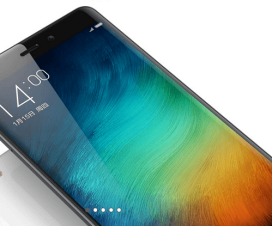 You can also refer our guide on how to enable USB Debugging mode on Xiaomi phones. Install Xiaomi USB Drivers on PC. 1. 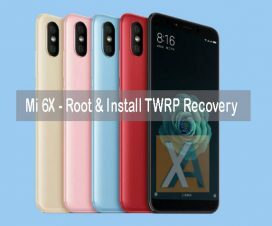 Download TWRP Recovery file from its official website and rename it to recovery.img and paste it inside the Fastboot folder. 2. Now you need to open a CMD window inside that folder. To do that, perform Shift + Right Click on any empty white space inside the folder and then select Open Command window here. 3. Take a USB cable and connect your device to the PC. If your device asks for permission to “Allow USB Debugging”, tap OK. This command will start flashing TWRP recovery on your device. 6. Once TWRP is successfully installed, give the final command to reboot your device. Now you should have successfully installed TWRP Recovery on your Android mobile. Follow this step to Reboot your phone into TWRP Recovery. To verify, Go to Google Play and download the Root Checker app to check the root status. If root checker app says root access available then Enjoy you have root on your Phone. Any queries? Drop a comment below!